Namaste, I am Sia. I am your hostess and also a daughter/sister/wife/friend/cook/blogger and most importantly, a mother to a most adorable and lovable little boy in the universe! I was born and brought up in a charming small town Puttur close to the coastal city of Mangalore in South India which is famous for its virgin beaches, red tiled houses and gentle backwaters. I was introduced to authentic and traditional Indian cuisine by my Ajji (grandma), Amma (mom) and half a dozen aunties in a typical food and fun loving family where the life revolves around food, love, laughter and good dose of gossips! I was never serious about cooking, but was a foodie all through my school and college days! My cooking adventure started after I got married and moved with my ‘much’ better half to UK some nine years ago. With beginners luck and zillions of SOS calls at ungodly hours to my Amma (mother) and Atte (mom-in-law), I reached a phase where I could cook decent pot of rice and Rasam. Slowly but steadily I graduated from cooking simple, everyday home food to exotic and exciting Indian and world cuisine. I continue to enjoy this exciting and adventurous culinary journey with few kitchen disastrous, some blunders and tears, and lot of laughter and good food on the way spicing up my life! I hold a bachelor degree in Computer Science Engineering and masters degree in MBA, but literature and writing is my passion. After working full-time as an IT professional in a very exciting organisation for over 8 years, I quit my job to enjoy small things in my life. 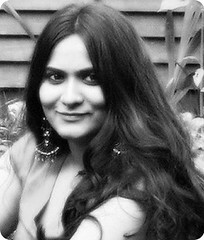 Now I am a part-time food blogger and photographer, full-time daughter/wife/friend/sister/mother, voracious reader, doodler, curry plant killer, nature and adventure sports lover, tree hugger, bon vivant, bathroom singer and generally having an interesting life and enjoying it to fullest. Living one busy life means the blog posts are often irregular and I can disappear for weeks or months from blog-o-sphere. But whenever the post make an appearance, you can be 100% sure that they are always cooked and served with lot of love and passion. Monsoon, just the word is enough to bring back a flood of fresh and drenched memories of magical monsoon rain; the sound, sights and smell of home. For a girl born and brought up in southern India, the magical word Monsoon evokes feeling of happiness in me. So when it came to naming my blog I couldn’t think of any better name than Monsoon Spice. Monsoon Spice (previously known as Spice Corner) was born on the day when I couldn’t find the recipe scribbled in hurry on a piece of paper/back of the bills while making zillions of SOS calls at ungodly hours to my Amma (mother) and Atte (mom-in-law). When it was needed the most, I found myself running around the house like some headless chicken, checking all the drawers and every nook and corner, while our smoke alarm made enough noise to wake half the neighbourhood! That was when I decided to catalogue all the recipes online and the rest, as we say, is history!!! Monsoon Spice has been up and running since September 2006!!! More than five glorious years… ~Ouch ~ I just pinched myself! My best friend and husband K (mostly known as my ‘much’ better half) is the main inspiration behind this blog. He not only eats what I cook in the name of cooking, but is also my food critic, sous-chef and patiently waits for the food, with rumbling tummy, till I finish the photo shoots (lots of them) for the blog and my blog readers. Now with the new and joyous addition, our little boy P (lovingly called as Lil Dumpling), to our family, I am all the more inspired to cook fresh and healthy food that has strong root in our Indian culture and still embraces the world cuisine with same passion. Three mothers in my life have left their mark on this blog and the way I cook. Without these three remarkable ladies, my Amma (mother), Ajji (grandma) and Atte (mom-in-law), I wouldn’t be a cook that I am today, let alone a food blogger. Thanks to all these loved ones in my life for igniting my love for cooking. Today this little spark of interest in cooking has become a roaring fire of passion! All these years of active blogging, I’ve met immeasurable number of foodies, fellow bloggers and made many good friends. And you, my reader friends, are my inspiration. Without your comments, feedback, suggestions and encouraging words, this blog would not have survived all these years! Monsoon Spice is my playground where I showcase my love and passion for food and cooking. Most of the recipes presented here are something that I learnt from my Amma, my first teacher who thought me about life and spice. There are recipes that are inspired from cookbooks, magazines, cooking websites/blogs, and cooking shows and always the due credit is given to the original recipe sources. Almost 99% of food posted here are Vegetarian and there are many Vegan friendly recipes or the ones which can be easily converted to suit Vegan diet. The remaining 1% of recipes uses Eggs and this count ‘may’ rise slowly due to my new found love for baking. There are many recipes catalogued to suit busy working schedules and also beginner and bachelor friendly. You will find a collection of everyday meals, some with fancy ingredients, mostly Indian cuisine and also with international touch; variety is the spice of life. One thing I have learnt from my years of kitchen adventure is to understand how to balance and harmonize flavours. For any cook, amateur or experienced, it is important to make adjustments in the quantity of ingredients used to bring out the right flavour to suit your taste buds rather than blindly following the recipes. Recipes given in Monsoon Spice should serve as guidelines as they cannot speak for your taste preference or the variance in the ingredients you get from different places. Rather following the cooking instructions religiously, follow your instinct and palate as it is them that tell you as what you like in a particular dish. Keep experimenting with ingredients, a hint of this and a dash of that, which creates perfect harmony between flavour, aroma and your taste buds. The real satisfaction of creating something which your loved ones enjoys adds that ‘extra special bit’ to your joy. Play around with the ingredients until you are happy with the combination of flavours which is suited to you and your loved ones heart, palate and soul. Seriously, I can’t talk much about food photography. It is true that food blogging and food photography go hand in hand but it is also true in my case that I know just a tad bit more about camera other than which is the click button! Initially the pictures were taken from my Panasonic DMZ point and shoot camera. Just because my husband loves me a lot and he also felt that I may cook more food of his liking, he decided to bribe me three years back on my birthday with Canon EOS 450D dSLR. I use basic kit lens (Canon EF-S 18-55mm, I had to Google to find this info!) and till date, I have never found the need to upgrade to any other fancy lens. I try to take all the photos in natural light, sometimes in bright and almost perfect sunlight and other times in dull and cloudy UK weather. I am happy as long as the food looks edible and inspires you to try it for yourself. I am not all fancy! I have promised myself to make a sincere attempt to learn more about food photography but so far other important things in my life have taken the precedence. Updated on September, 2011: Since my faithful 3 years old kit lens suddenly took it last breath, I was left with no other option than upgrade to new lens. I now have two new lens in my camera bag, Canon 50mm f/1.8 prime lens and Canon 18-135mm zoom lens. Almost all the photographs from mid September 2011 are taken using the prime lens and to my surprise, I just love it! It is inexpensive, light weight, captures the vibrant colour of the food, and also great for taking photos at poor natural light. All the pictures and contents on Monsoon Spice are protected by United Kingdom and International Copyright Laws unless otherwise noted, and should not be reproduced, published or displayed without the prior written permission from me. Information on Monsoon Spice is not to be used in any form for publishing on other websites, mailing lists, commercial purposes or other media without explicit permission from me. You cannot reproduce, modify, display, alter, distribute or build upon the content of Monsoon Spice. Comments are an integral part of any public blogs and it is they that help me to connect with the readers of Monsoon Spice. Your feedbacks/queries/comments/compliments lets me know and understand little bit of you, your feelings and what you want from this food blog. You, the readers of Monsoon Spice, are the inspiration for me to continue posting regularly and hence every single feedback from you is read, appreciated and valued. When you visit a person at their home, it is considered rude to leave without uttering a single word. It is not much different when you visit a person in virtual world when you are spending your time reading through the blog and trying the recipes posted here. I sincerely request you to take few moments to leave a line or two to mention how you liked your stay and also the outcomes of any recipes you tried from here. Although Monsoon Spice is an interactive blog and is open to feedback and comments, I will not entertain any inappropriate or abusive comments. I welcome all your valuable inputs and constructive criticism as long as it is meant to help, guide and improve and is not offensive to me or the readers of Monsoon Spice. I reserve the right to delete any comments that are rude, abusive, written with the intent to advertise, contain profanity or considered spam. Enjoy your stay at Monsoon Spice but do not steal the photos or content and no hot linking of images. This is a happy place and please, let's keep it that way! Want to use the photos or contents from Monsoon Spice? If you really want to make a friend, go to someone's house and eat with him. The people who give you their food give you their heart. I am very particular about (to the point of obsession) giving due credit to the original source and I expect the same from you if you try any recipes or use any content or photographs from my blog. You want to use the photos or contents published in Monsoon Spice? All you have to do is ask me nicely! People who know me say that I am usually a generous person with big heart and I may even let you use the photos and contents for free if you ask me first!!! At the same time, if you steal or modify the photos/content from my blog without my permission, you may have to face my evil twin when you receive a fitting mail from me or a notice from my lawyer. So let's just skip the nasty bits and simply agree on ASK FIRST rule. To request for permission for personal or commercial use of photos and/or content from Monsoon Spice for your blog/website/newspaper/book/magazine etc, contact me via email at siakrishna[at]gmail[dot]com. Want to say something personally without the world eavesdropping? Just mail me at siakrishna[at]gmail[dot]com. I sincerely try very hard to respond to each mail I receive. But there are times when I am unable to do so for some reason. It’s not because I am ignoring you or I don’t like you! I just wish I had more hours in a day…. Or even my clone will do the job!!! It is small and little things in life that lift my heart and spirit… I love the colour red and blue skies. I love spring, summer, rain and snow! I love organic food, farmers market and things grown naturally. I love simple food, heirloom recipes and Ice cream. I love to be surrounded my loved ones and happy people. I love to listen to baby’s giggles, good music and positive comments. Very beautifully updated Sia..:)..love the new additions you have made here.. So, what made you 'out' yourself? Love your blog, its been the inspiration to take mine more seriously. Your pictures are gorgeous, and I love your writing. Keep going Sia! Congratulations on the new baby! Its good to read more 'About' you, Sia. We love your space, wonderful recipes, writing, pictures.. It is such a pleasure to learn more about you and to finally put a face to the name and the person that would leave comments to take me up to 100!(laugh). Nice to meet you again, Sia! Lovely to know about you and your passion for cooking & blogging! Your pictures are gorgeous and the recipes simple yet decadent. I had been reading your blog regularly bfore the updates became less n am reaaly happy to see the new n frequent updates! so thrilled to see the face of the lady of the blog. keep it going n do post the kiddie meals. look forward to feed my toddler those ! lovely space you have here. I love that photograph of yours , Sia. Lovely to discover your blog, Sia! My husband and I love traveling to India and we visited Mangalore 4 years ago to attend a wedding. What a gorgeous place! We enjoy South Indian cooking and your recipes/photos are wonderful. keep in touch and Keep the Spark Alive.. Loved your site, have always loved it!!!! New look definitely is awesome but honey nothing can beat your recipes!!!! Finally got to see your beautiful face :). I have always loved your blog. Keep up the good work lady! Love to know more about you and to see a photo of you Sia :)... Beautifully written 'about me' page dear! How do you manage all this. I am uable to manage work,cooking and kid??? What the secret?? Great site Sia...thanks! Found your site after having aloo tikki and dosas here in Austin, TX. First time visitor to your blog. Already looked through a number of the mouth-watering pictures. Will definitely drop by regularly. Namaste!!. First let me put on record my appreciation for a blog that is delectable. I was looking for a recipe for " Mangalore Southekaayi" Sambhar and chanced upon your site. It is extraordinarily good. This mind sound monotonous given the fact that you have scores of appreciation already and it seems there is a sizeable fan following. When you are good you got to accept the bouquets. So escaping the felicitations. Also when I read your introduction at the beginning. It says a lot about your personality and your passion for cooking. Thank you for sharing all these wonderful recipes. I am a foodie as well but cook on instinct and go by the gut. Will keep visiting your site from time to time. Keep posting your recipes. God Bless and More Power to you!!. @Samuel Sanfrancisco, all I can say is a big Thank You! :) You just made my day! The pictures of mouth watering dishes made me literally drool...and your simple recepies were just too good to be true....but Sia..what made a lasting impact was your preface to the recepie...a simple story which you spin around a day in ordinary individual's life...a memory thread with colors of nostalgia yet vibrance of humor..touches me the most. @Bohemian Girl, u just made my day :) Thank you! You are a true inspiration for every woman who juggles between her family and her job each day. Love to read your posts and u have been a my inspiration to put up my feelings in words in a yet to be published blog. Just read the "Dill Saaru(Rasam), Dill Potato Palya and Amma's Kai Tuttu" post after seeing ur post on FB. I miss all the kai tuttu times with appa, anna and attige under the moon light on that small red oxide katte back home. It made me realize how things change at every stage of life. Love the woman, daughter, wife, mother and YOU in you. Love your recipes as it is simple, delicious and most of them are comfort food, which we crave for at the end of a busy working day. You rock sia. Lots of love to your lil dumpling. Thanks a lot to you my family gets to eat some of the best food that is so simple yet tasty and quick to make!! Every night my teenagers want to eat something new and they get to do it thanks to you!! Keep the good work going ..I love all your recipes!! God Bless You!! I bumped into your website while searching for a palak mushroom recipe, and I just loved it. I am sure I am going to stick around your website whenever looking for a simpler and different recipe. Best thing is the beautiful photos accompanying the recipes. Keep working and giving us clue to brilliant tastes. :) Havent seen your blog yet, going to jump over after finishing this line. Love. thank you for visiting my blog Sia. I am equally delighted to have discovered your blog. A wonderful one stop address for so many scrumptious recipes and beautiful beautiful snaps. Keep up the good work. 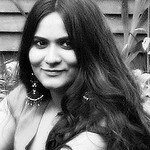 @thewhiteramekins.com, welcome to Monsoon Spice Himanshu! :) and thank you for your kind words. I used a point and shoot Nikon for a very long time and loved it too. Chanced upon this site. Saw your pic and felt proud of your achievements. Keep them coming!! Looking at all those quotes, I know for sure that your diry has come in handy. I remember you jotting down all your fav quotes by so many different authors. Do you still do that? Manually, I mean :-) Or do you have online store for that as well? I usually refrain from commenting on blogs. But the fact that you are from Karnataka and are a foodie and have such a beautiful blog, compelled me to comment. Congratulations of having and continuing to have such a lovely place with very nice photographs. I love food and love cooking too. Only if I took it seriously! I do post recipes on my blog but it isn't a food blog. I'm not seriously thinking about starting one. Yours looked like an inspiration. :) Keep posting the awesome recipes. I especially liked the style in which you post, by posting something related to your life and then relating it to the recipe you are posting. God bless you. Please keep up the good work. I tried this today. Tastes very nice. Mummy wants to know the recipe. She liked it very much. Thanks a lot for sharing Sia. Hi Sia, I stumbled upon your website while I was googling for aloo gobi recipe. I read it, saw the pics and made it. and must say - Its easy and tasty. I was obviously intrigued and hungry for more recipes and went thru a few more which i will surely try soon. Hi Sia , how can I email you ? Great content and in depth details of food. Reading and going through such dishes make me learn more and more about the richness and variety of food. Recipes is not our forte but, we look forward to find the places where they can be find and cover such rich varieties dishes on our portal. Interesting recipes.Its always interests me to try the variations we have in the same recipe from kitchen to kitchen. Will try the Rasam ! Browsed through many of your recipes and they are very helpful. Special Thanks for sharing. I have just started blogging few months back so still learning.Do visit my blog and let me know how I am doing. Keep up your good work and keep in touch. Dear Sia. Namaste. I just fall in love with your blog. I have recently started blogging and I am so inspired seeing your blog. I can sense that your put your heart and soul into it. Amazing pictures. I am happy that I saw your blog and now I am your honest follower. Keep posting, wanna learn so much. Thanks. Love Khushboo. Hi Sia, I wanted to give you feedback - I already liked your FB page on your blog but the little popup doesnt remember that I have liked it and keeps coming up during my visit. Which is a bit annoying as a user. Not sure if you can change the setting to not display the widget after subscribed! Thanks! By the way I am trying your banana blossom pathrode recipe today. Will let you know how it goes! Hello Archana, thanks for your feedback. Unfortunately I haven't found a code that remembers the readers who have already liked the FB page as the blogging platform is from Google and the pop-up is for FB. I do understand this is quite annoying for readers when it pops up with every page refresh. Let me see if I can find a way to deal with it. Banana blossom patrode is my most fav breakfast/tiffin/snack/lunch/dinner :) Hope you enjoy it. We would like to get partnered with your blog for our website foodwalas.com where we can get visibility. Please let us know how can we associate with it. I am a fellow Indian living in the UK; I came across your site when I googled 'Kashaya'. It's something I remember my Ajji making for me if I had a cold when when I was a child and I remember it as being very effective (but I also remember it as being disgusting and being forced to drink it :D ) - You blog is very good and your pictures are amazing. I just today, tried the khara avalakki. Came out awesome!! I think I'm already hooked onto your blog and would want to cook as many of your recipes as I can (When I can, that is!). Sia I am in love with you after reading what you have written .Keep writing! !